If you spot an error on this or any page, please report it. This search is very slow. Searches within the color coded subsets of the total collection. The site offers searches by individual publication and by section. This speeds up and focuses your searches. Unlike Google and Bing web searches, ours are done on this site alone and they are powered by a single server, so we have created subset-based alternatives to make your searches are more effective. However, as we don´t have massive arrays of servers and CPUs, searches will not be fast. A Non-profit free online library. The most respected business magazine in the industry. Television industry business journal with some radio coverage. 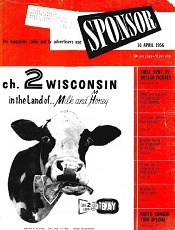 1940's magazine for radio advertisers provided by local radio stations. Tracking the news and BDS plays of Americas major country stations. FMQB Radio Music airplay report. 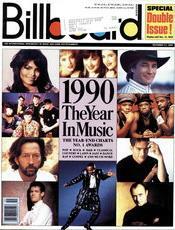 Thousands of Top 40 record charts plus air checks and more. 60's Music trade magazine and successor to Music Reporter. 70's and 80's UK trade publication. UK Music newspaper. Founded in 1926 and published until 2000. Link to a site with issues from 1964 to 2000. Arbitron review of radio listening behavior. Group of the former 1-A clear channel radio stations. The industry's favorite directory for decades. Radio stations in North America. Complete set of issues. 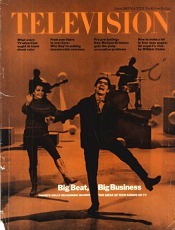 TV directory and "Who's Who" in TV. 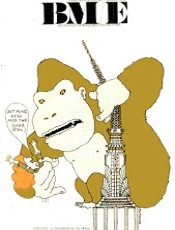 Graphic examples of the state of advertising from the 20's to the 70's. Newspaper directory with some of the best population data for US. A collection of directories and reports of interest to investors and owners. Full history of some major stations like WOR, WNEW and WLW and others. 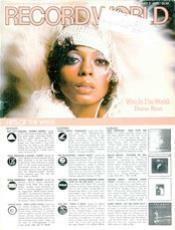 Washington DC radio program guide and entertainment magazine. Engineering and promotional coverage maps by state. 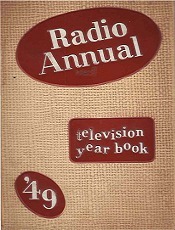 1835-1945 staff magazine for NBC radio and the new TV section. Miscellaneous Publications Collections - Single issues, booklets and the like. 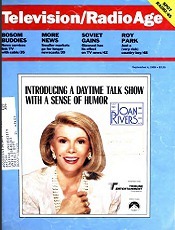 (The Television years) UK Miscellaneous Publications and other Items that "don't fit" on any other page of the site. Publications and booklets from Australia. Miscellaneous directories from the 1930's to recent times. From 1959. Successor to Radio News. 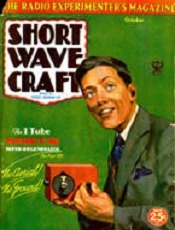 Early personal computer and microcomputer magazine. 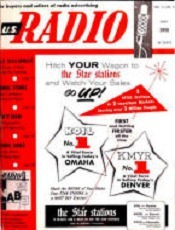 CB Radio magazine beginning in 1962. 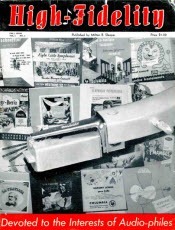 50's and 60's hobbyist magazine with projects and experiments. Elementary Electronics. 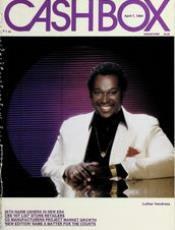 Hobbyist publication from 1984 to 1989 Hobbyist Special Editions. 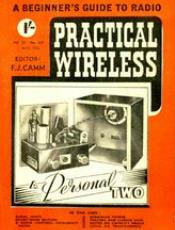 One-time or annual publications for electronics hobbyists. Books with projects, theory and components. Hobbyist & Technical books from the UK. 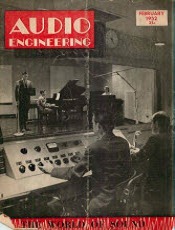 Audio Engineering / Audio Magazine. 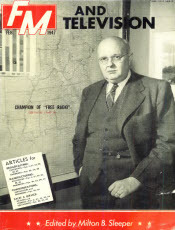 Pro journal which became a leading consumer magazine. db magazine. 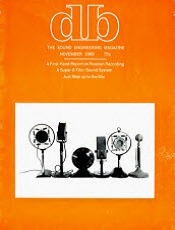 The Sound Engineering journal.1967 to 1994. Recording Engineer / Producer. 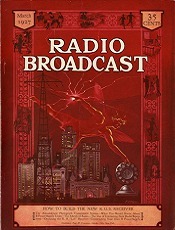 "REP"
1955 to 1958 from publisher of High Fidelity. Removed at request of copyright holder, Circuit Cellar. 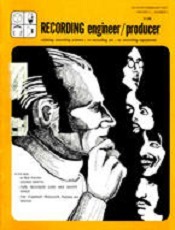 Booklets, books and pamphlets about audio and hi-fi. 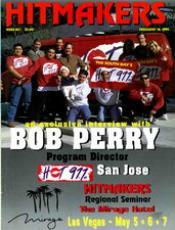 Promotional magazine fore WE's broadcast equipment division. 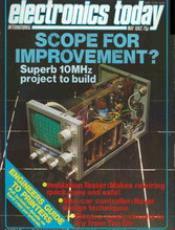 Predecessor title to the "Oscillator"
Technical publication from the UK. Scientific aspects of electrical communication. A magazine from the Aerovox Corporation, maker of capacitors for users and hobbyists..
Tech information and product line descriptions. 1936-1988 journal of technical advances and issues from the Netherlands manufacturer. A large selection of complete home study courses from the 20's to the 70's Servicing Training and Education books. 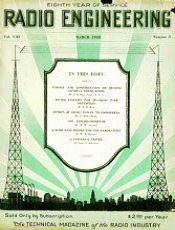 The annual radio engineering reference from the editors of "Radio"
Radio set manufacturer's monthly from 1926 into the 30's. 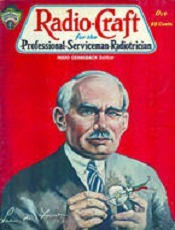 Radio Service Dealer from 1940 for servicing dealers. Service Notes / Service Data / Service News. Pacific Coast appliance retailer magazine. 1907 to 1928 Phonograph and music retailer magazine. Later incarnations of Radio Retailing. 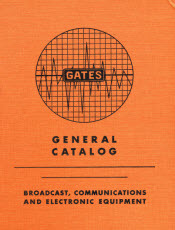 Magazine of the California State Electronics Assoc. Servicing Training and Education books. Gernsback's early magazine about TV in its infancy. Radio In The Home. 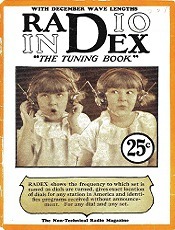 Mid-20s radio and receiver publication. 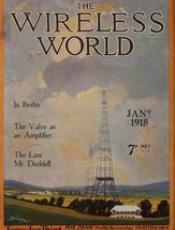 1919 to 1921 when it became Radio World Wireless World from the U.K.
A recent publication about vintage radios. 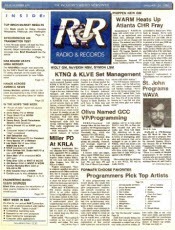 Radio set makers, featured radio stations, and radio programming articles. 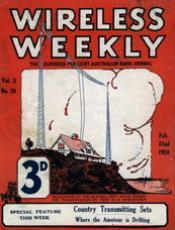 1908 to 1914 magazine written in non-technical language explaining new technology. 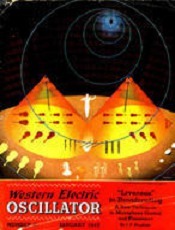 12 Volume encyclopedia of all things electric and electronic. The History of Broadcasting. 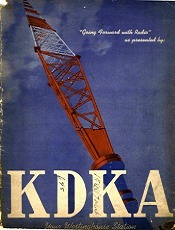 A set of significant books on the industry from its first decades. 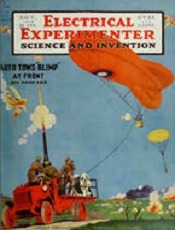 1915 to 1920 magazine about technology Modern Mechanics / Worlds' Advance. 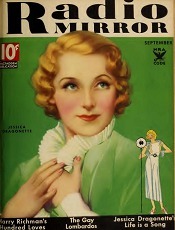 Radio Mirror. 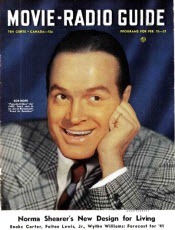 Radio fan magazine full of broadcast history. 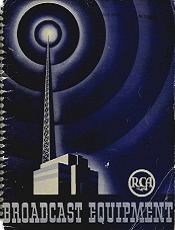 1930-1934 Radio program and station guide with articles and features. Receivers, reception and stations.. 1922-1926 Modern Television & Radio. 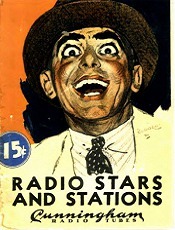 Radio Spots when US stations changed frequency. DX, short waves and utilities. Radio Station Verifications of reception. 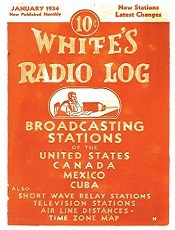 QSL's and "Veries" from real radio stations. 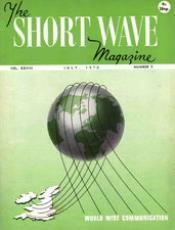 1968 to 1990 amateur radio magazine. 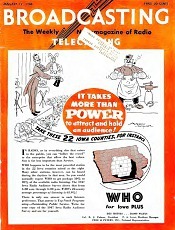 1933 magazine by the Telsen radio manufacturing company. Short Wave and Television. 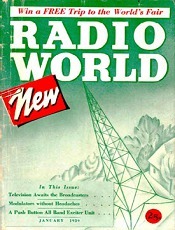 Beginning around 1938, it covered television as well as international radio. 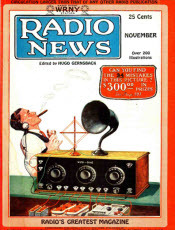 Retail radio and phonograph dealer magazine. 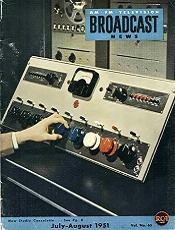 Books and magazines about the BBC and broadcasting in the UK. Electronic Engineering Electronics magazine for the professional engineer. 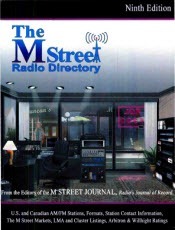 Amateur Radio Magazine for two-way radio enthusiasts beginning in 1982. Monthly with articles and program guides. 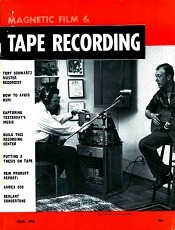 Hobbyist magazine from 1965 to 2000. Single issues and special editions. 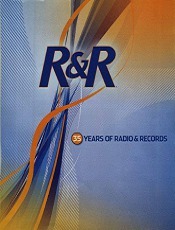 Catalog of Australian and New Zealand Radio Magazines and Periodicals. 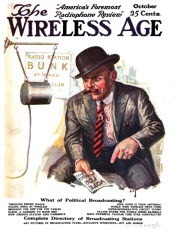 "Complete Radio & TV" 20 page eBook on the history of radio and TV magazines from 1909 to 1980's Chronology of Radio Related Magazines. 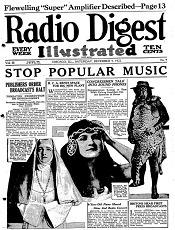 Listing of all radio related periodicals with start (and end) dates. Chapter from "En la Misma Sintonía" about your webmaster. 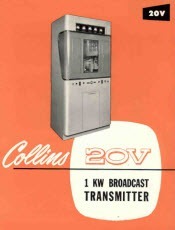 Associated Site: DFW Radio Archives. 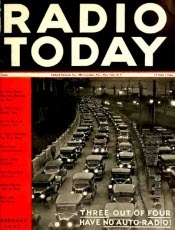 Newspaper Radio Logs New York, LA Chicago and Washington radio logs 1930-1960 -LINK- Faded Signals "stories behind the news" including many based on ads from this site's publications. Television cameras were the Eyes Of A Generation; this is Television history the way they saw it. 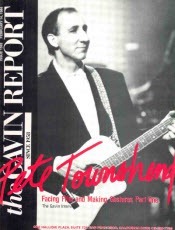 Thousands of OTR shows in MP3 and downloadable. Georgia Radio Hall of Fame. Find each stations' service area. day and night, AM and FM. The History of UHF Television. "Those channels above 13 nobody could receive"
This is a non-profit web and non-commercial site created for educational and historical purposes. Other than where indicated, the operator of this web site does not claim copyright or ownership of any photographic images contained herein. Such images are reproduced in low or medium resolution and consist principally of unclaimed or "orphan" images where the copyright owner is deceased or unknown. They appear on this site under the "fair use" doctrine of United States copyright law, which permits the use of copyrighted material for scholarship, archiving and research purposes. Any persons wishing to duplicate or otherwise make use of the images on this web site do so at their own risk. If you believe to own any copyrights for materials on this site and do not wish them to be viewed as part of a historical collection, you may request them to be taken down. Please see our "Take Down Notice" for more details.